How do I use the SalesScreen TV app? 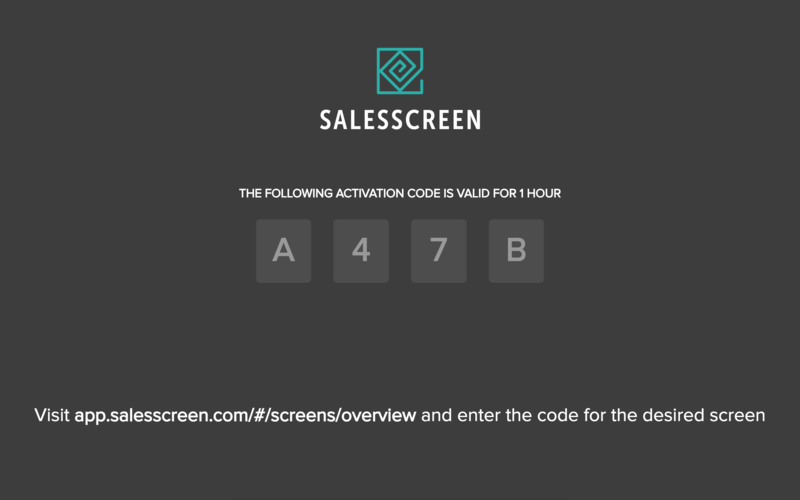 Install and configure the SalesScreen TV app to connect your screen to SalesScreen and visualize your sales-data in real-time. Once the SalesScreen TV app is installed, launch it. 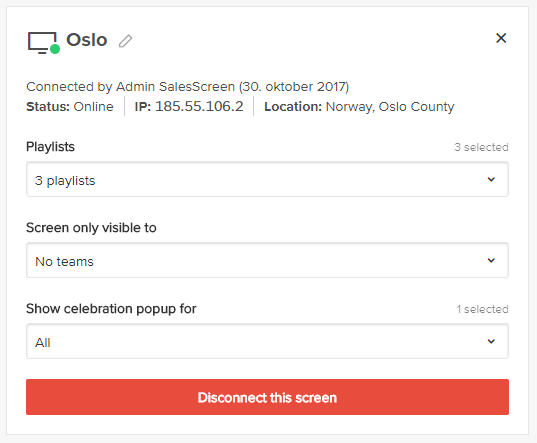 Once on the Screens Overview page, you will see a list of your screens. You will only be able to connect screens marked as New (blue status icon), so make sure you disconnect a screen if you want to connect it to a new chrome app instance, and it isn't already marked as New. If the list of screens is empty, you may want to create a new screen before you visit that page again. 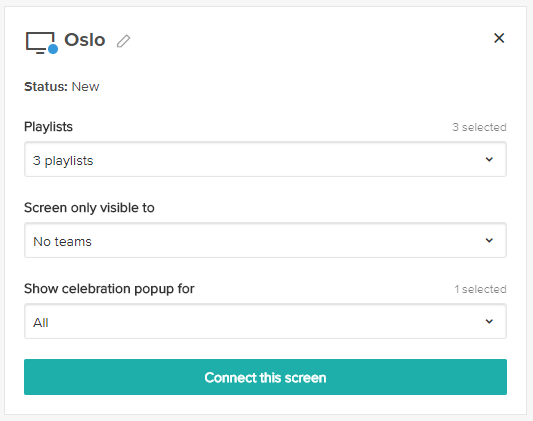 If the screen is already online or has already been connected in the past, you will be presented with a disconnect option. 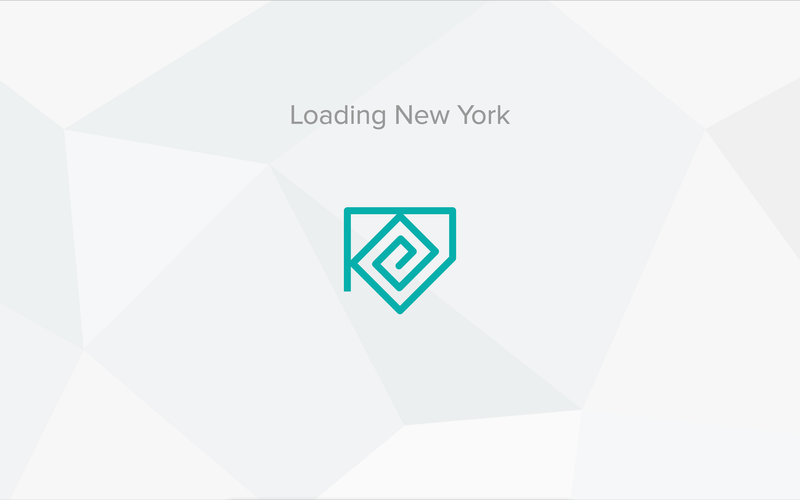 Make sure this screen isn't currently used by anyone else in your company before you disconnect it. Once you are sure this is the screen you wan't to connect, disconnect it and you will se the button change to Connect this screen. Follow the instructions for new screens. A new screen is any screen that is marked with a blue dot in the screens overview. Press Connect this screen in the screen settings panel. 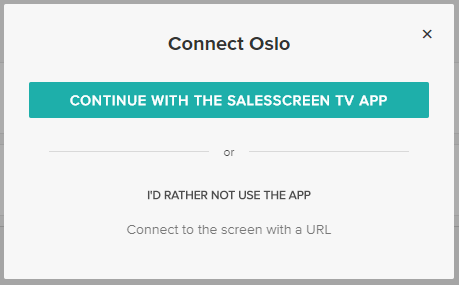 A popup will appear and you can select to continue with the SalesScreen TV app. 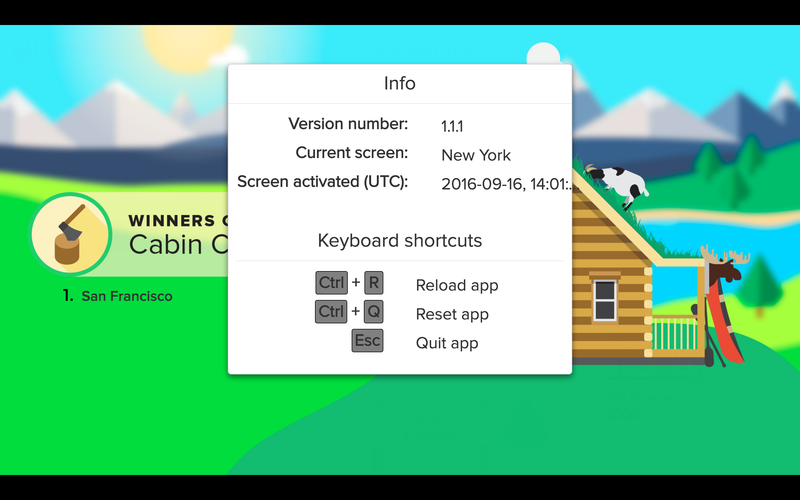 In the next window, enter the 4-digit code from the chrome app. 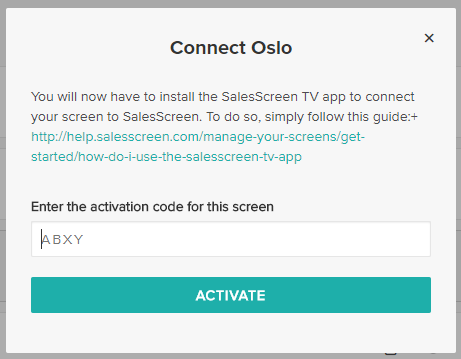 Enter the code that the SalesScreen-TV app is displaying and Press Activate.